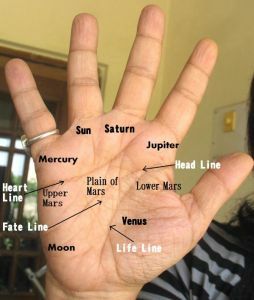 Salman Khan’s hand, fingers and palm have a good shape from the palmistry angle, but there is a slight imbalance in the development of the Mounts. The mounts of Venus, Moon and Mars are well developed, and make this indicates that is personality is strongly influenced by the qualities of these mounts. The question that arises is: Are their other character traits shown on this hands which will balance this out? go hand in hand with a strong mind and self-control. Salman’s headline is balanced and shows self-control, but is not so high as to balance out the other aspects of his personality. Check out a hand photo of his here and here. His left passive hand is here. Salman has a good thumb showing strong willpower, but unfortunately, there is evidence of impulsiveness. To make matters worse, his will phalange is too long, which means that he can turn into a bully. Salman Khan's heart and headlines are fairly well etched, and a good length. His palm is squarish, and his hand has short fingers with nicely rounded tips. The palm and fingers tyend to be fleshy. A strong will and aggressiveness are assets if used to take forward well thought out decisions. If the decisions are emotional in nature or taken too quickly, then a strong determination can be counterproductive. 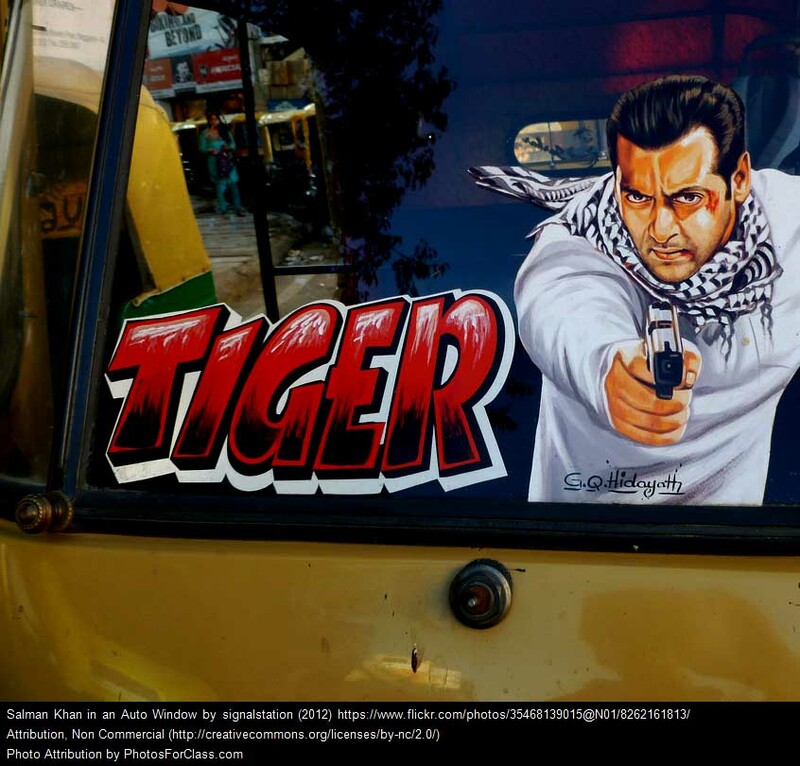 In Salman’s case, his impulsiveness and emotional nature could result in an impulsive determination, and this means that he could regret his actions later. He also has a strong physical and sensual side which could make him appear crass to some people. He can become excitable. This does not mean that Salman’s hand is that of an unreasonable man. Not at all.aroused, or aroused in a good way, he is a very reasonable, amenable and a generous person. His long thumb and broad quadrangle show his reasoning ability and broad-mindedness, if he keeps his head on his shoulders. He can see other points of view with ease, and can be compromising, flexible, and humble. He also has the ability to be charming and diplomatic, if he wants to be. Luckily for him, one of his negative qualities is dormant today. His left hand (the dormant hand showing inherited qualities) reveals a person who is extremely controlling of his loved ones, and selfish in love. Such people invariably have unhappy home lives. Somewhere along the way Salman shed this part of his personality, although he retains some of his manipulative abilities. 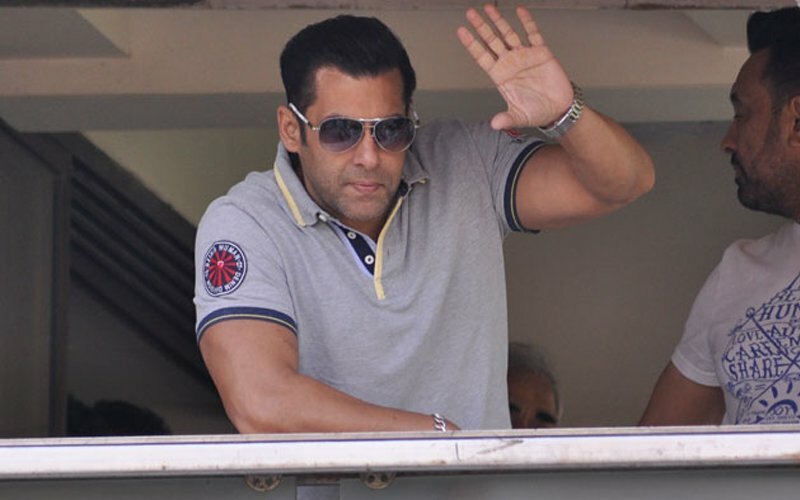 Other positive aspects of Salman’s personality (as shown by his hand) are his compassion and pragmatism. He also has leadership qualities and is, in fact, a natural leader. His compassionate and generous nature attracts others to him. The shape of Salman Khan’s hand, palm and fingers reveal overall that he is good at getting things done, and is active and a doer. After the age of 60/65, he would have to take greater care of his health. (Salman Khan is a popular Indian actor from Bollywood, the nickname for the Mumbai film industry). Related Reading: You might want to read Aamir Khan's hand analysis or this post: Shah Rukh's hands tell us why and how he became so successful. More hand readings of famous Indian actors: Hrithik Roshan, Ranbir Kapoor, Aamir Khan, Amitabh Bachchan, or Rajesh Khanna or an yesteryear star and famous singer like Kishore Kumar. Female Bollywood actors like Priyanka Chopra or Kareena Kapoor or Deepika Padukone or Aishwarya Rai or Kangana Ranaut or Rani Mukerji. Or just check the hand readings of all Bollywood personalities. Or read about Hollywood personalities. In the spirit of the open source revolution, people should voluntarily make their photos copyright free (perhaps a link back should be enough). I wonder why website owners don't do that. I for one, don't have a problem with that! I have not followed bollywood industry well enough to comment on this particular profile, but all the press coverage about Salman Khan seems to be on the negative! Wonder why! Nita, can you do a hand analysis of Aamir Khan? He is respected even in Bollywood unaware places like TN. Wonder what qualities makes his personality so. DI, I think Picapp is in a way a beginning of that. Only that one cannot always find a picture which is suitable. But Picapp is just ideal for my site and I hope they don't close down one day! I personally do not mind giving my photos if people link back, but my experience is that no one gives a link back. They just take without informing. I think Salman Khan lives the kind of lifestyle one associates with spoilt brats, you know the hunting, the rash driving etc. There is little to admire about the man as far as I can see. I would like to know about his talents. You have not mentioned them. Does this mean he lacks talents? Usually when I read a hand I mention aspects of character that stand out. In Salman Khan's case his talent was not something that stared you in the eye. This does not mean he lacks acting talent or other talent. As I mentioned he has leadership ability. He also has an average acting talent but has a good personality which helps him in the acting. He is also an active person and is a doer. He also has excellent will power. Such people are usually achievers and make the most of the talent they possess. Hi Rahul. I would love to do that, but as I have mentioned in a note at the bottom of the post, I could not publish a photograph of Salman's hand here as I could not find a copyright-free photo. Photos on this blog are copyright free. I use Picapp which provides free photos. If a photo is not available on Picapp I try for a thumbnail image from the person's site, but often I do not get a decent photo of the person's hand. However any individual can get Salman's hand photos on the web as long as it is for his/her private use. FFH, I will look for his hand photos and if I find several of them I will certainly read his hand. Thanks for the image FFH. The photo is okay. I think I can read something from the hand although the relative length of his fingers is not visible (which is important for the reading). However I think there are other photos which will give me this. I'll read his hands soon. What brings me back to this reading is what i saw , his recent interview with Karan Johar. There seems to be a dichotomy , in the sense that media portrays him as a genuinely philanthropic person , which i too believe he is. His father in the same show was noted saying that he is a bad judge of people and people do take advantage of him as he can't assess their agendas. But somewhere it's apparent that as he is on this position he can't possibly be naive. Adding , he said that he did random films for various reasons , was that because he is genuinely big hearted or just wasn't very serious at that time? Also there have been cases about him not handling media well and giving blunt answers , he can be "surprisingly" diplomatic and sleek. I don't know whether its fortune or his cleverness that has got him where he is. Curious about you take on this. Swati, you have asked some questions, and actually answered them yourself. :) There is never one answer to a question, it is usually a combination of both as people are very complex and have complex motivations. And when you ask about what got him where he is, there is one more factor you need to add. He is from a Bollywood family. That is an important factor. With a lack of seriousness that he himself has said he had, he would never have made it if he was a nobody with no contacts.